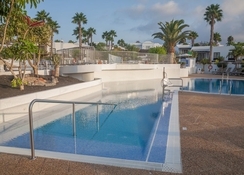 The attractive Jardines del Sol by Diamond Resorts is a luxurious family-friendly hotel located on the southern tip of Lanzarote, near the laid-back beach town of Playa Blanca. 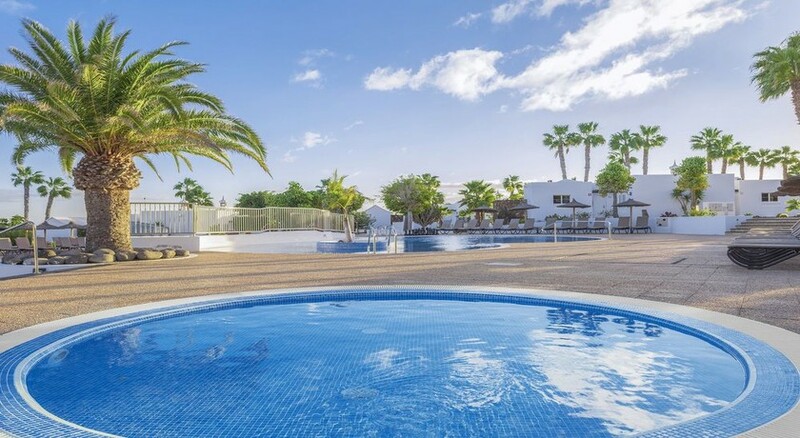 A short walk from many of Lanzarote's scenic beaches, these stylish apartments represent a typical Spanish pueblo blanco (white village) and are surrounded by lush, landscaped gardens. The modern and comfortable rooms have all the facilities you’d expect, including a kitchen and a terrace. If you’re travelling with kids, this 4-star hotel has bundles of activities and entertainment both in and out of the resort, including a large outdoor pool, garden area, mini-golf and bike rental to fun-loving Aqualava Waterpark and Playa Flamingo beach a 5-minute drive away. Jardines del Sol by Diamond Resorts is located in a quiet area, just 11 minutes’ walk from nearest the beach. The famed beaches of Playa Blanca lie a little further at a 25-minute walk away. If you’re looking for a day trip, a ferry will drop guests at the island of Fuerteventura in just 45 minutes. Tourist attractions usch as The Parque Nacional de Timanfaya is 17.2km from the resot, while golf enthusiasts can tee off to their heart’s content at the Lanzarote Golf Resort which lies at a distance of just 20km. The closest airport is at Lanzarote, at a distance of 24.7km. The apartments at Jardines del Sol by Diamond Resorts are bright and spacious and have a double/twin bed and sofa beds in the lounge. The feature rich guestrooms come with air-conditioning, washing machine, a fully equipped kitchen with fridge/freezer, oven and microwave, a dishwasher, en-suite bathroom with free toiletries and a hair dryer and a 2nd bathroom. The lounge has a satellite TV, DVD player, telephone and a lovely terrace. The apartments at Jardines del Sol by Diamond Resorts are designed for self-catering and come with a fully furnished kitchen to enable guests to cook their own food, however there is a restaurant and bar on-site too. The poolside bar serves refreshing drinks and there are many dining options nearby, too. While the beach and the surrounding gardens are good for a leisurely stroll, there is a lovely outdoor pool with a poolside bar where guests can have fun. The hotel offers many avenues for recreation and relaxation of guests. There are facilities for sports and games like snooker, table tennis, bike rental, scuba diving and snorkelling, mini golf & pitch and putt. 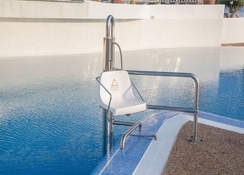 Kid’s will also love the outdoor children's swimming pool, over-sized chess set and playground.